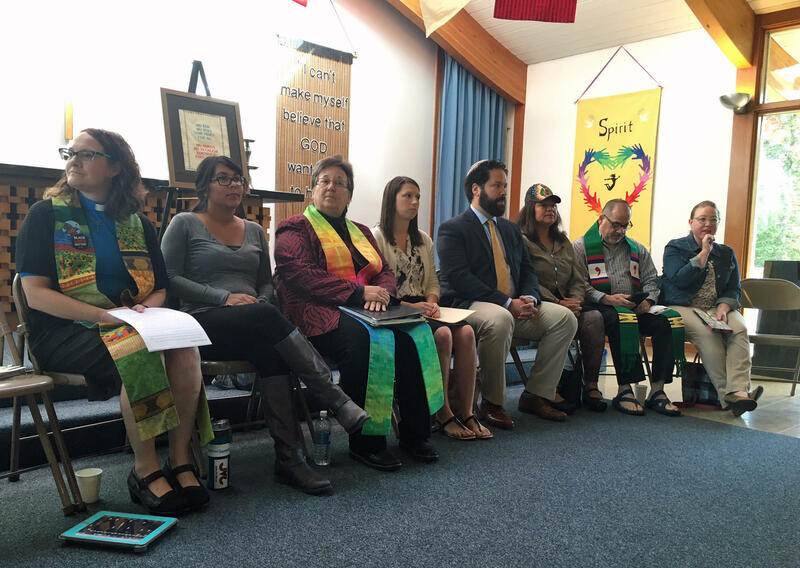 Washtenaw Congregational Santuary is an interfaith coalition formed to offer support and solidarity to immigrants and their families in Washtenaw County. Three faith leaders talk about the role of so-called "sanctuary churches." Religion and politics are always a combustible mix. During the long debate over gay marriage, many people of faith and their leaders argued that it violated their deeply held religious beliefs. Now, more are speaking out against our nation's immigration laws and their enforcement by the Trump administration. And they're using religious convictions as the reason why. Today, some faith leaders gathered in Washtenaw County to make a passionate declaration of support for protecting immigrants from deportation. I spoke with a few and asked them their thoughts on the role of so-called "sanctuary churches," and what happens when their actions run contrary to our nation's laws. I think that the responsibility of us, of people of faith, is to educate our communities, to challenge our communities and to encourage our communities to mobilize in the work of justice. ICE has the right to break into my building whenever they choose to, I have the right to not open the door. And there's a distinction there in terms of knowing that legally they can do it, but ethically, morally as a person of faith, I will not cooperate. Speaking out on behalf of some of the most vulnerable members of our communities as a way of saying you're not alone, there are people of faith that hear your struggle, who want to advocate for change in our world and that we want to support your families. It's a risk that I'm willing to take. I have immense privilege as someone born and raised in the United States, I have white privilege, I have middle class, socioeconomic privilege ... and it's our biblical faith calls us to be prophetic, to speak truth to power, to be hospitable, to be a refugee for the most vulnerable and the neediest in our communities. It's really about our expression of our Christian faith. My role is to help energize my community to support sanctuary. To understand that it's been a part of our history for thousands of years. Most recently of course grandparents and great-grandparents and children and parents who are alive today wouldn't be alive if they hadn't received sanctuary from churches and other righteous gentiles during the events of WWII, of the Holocaust, that people took in family members and made sure that they were safe.... Although this isn't the same situation, for sure, we also understand that people are in need right now and we need to support them.